A model wearing an Almas Hamirani cloth. 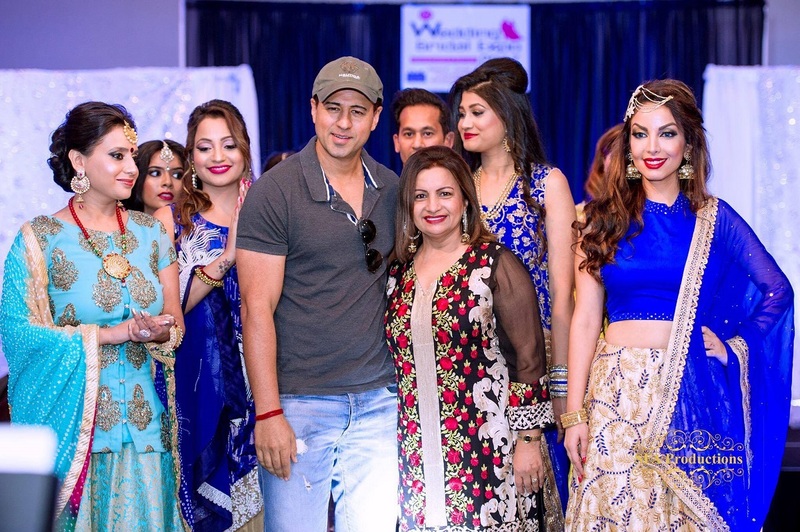 Almas Hamirani is an international fashion designer based out of Alabama. Hamirani has had her work shown in numerous fashion shows and exhibits where she focuses on everyday wear to bridal couture. 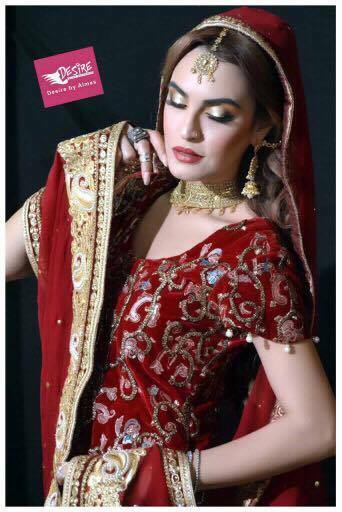 Most recently, she had a bridal expo in Atlanta and her work featured in the Daily Karachi Times. Hamirani recently spoke with The American Bazaar about her journey to creating her fashion line, “Desire by Almas.” Answers have been edited for length and clarity. Where are you from? How long have you lived in America? I am originally from Pakistan. I’ve been living in USA for a long time now, almost 29 years. Tell me a little bit about your work background? Designing and wearing new and different clothes has been my passion for forever. I used to design my clothes, my family and friends started liking it and asking me to design for them as well. So, slowly I started doing it. And it all started from there. And with time I started getting orders from friends and their families. After that I decided to take it seriously and I took a few designing courses from London and Karachi. Is your family supportive of your work? Yes my family is very supportive, I travel a lot for my work leaving my family behind, and even when in I’m in the US, I stay busy, but I have all kind of support from my family. Paint the picture of what drew you into this business. Passion, passion and passion. I never took it as a business or money making thing. I love creating different designs, different cuts and embroidery patterns, my passion keeps me going. And when I see appreciation for my designed clothes, and I see people happy after wearing them, it keeps me happy and satisfied. Yes, I’m very much happy and now planning to expand what I am doing. Do you face any backlash with your designs? No, not really. My clothes are mostly made to order, I exchange ideas and pictures of different designs with my clients. And sometimes even if something happens we take care of it. Mostly for my personal clients at this time. I mostly stay busy with my work and traveling but when I have time, I watch movies, listen to music, and hangout with friends. First would be spending time with my family. Then, when I see my clients happy with my work, that gives me happiness. Here in the US, it’s not that busy or hectic, but when in I’m in Karachi, there is so much to do. I have meetings with different people to discuss different designs and details with my team, marketing and so forth. Where are some of the most exciting places you get to do business? I have a few clients in the UAE, Karachi, and the USA.